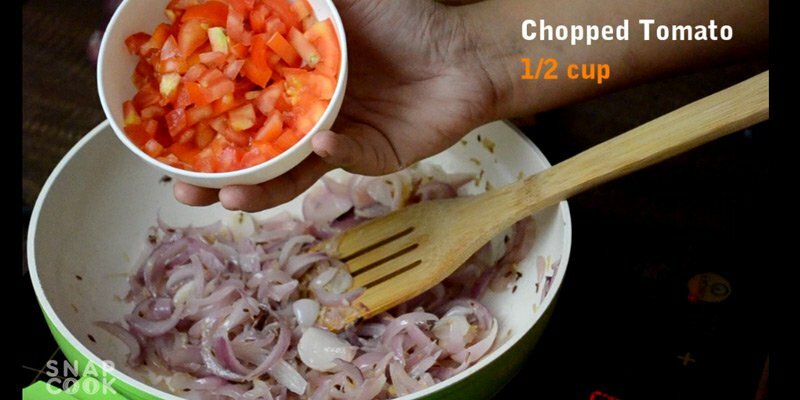 Onions (chopped lengthwise) – 2 cup. 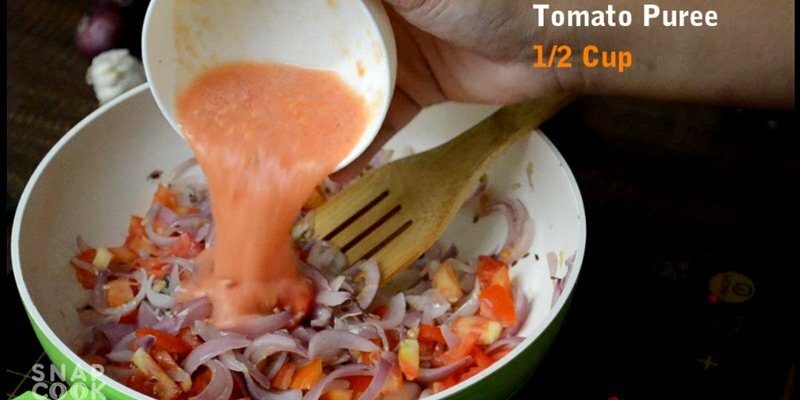 Tomatoes (chopped) – 1/2 cup. 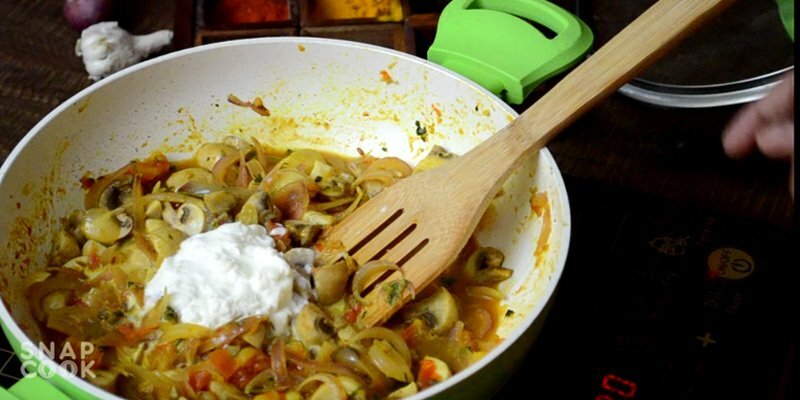 Tomato puree – 1/2 cup. 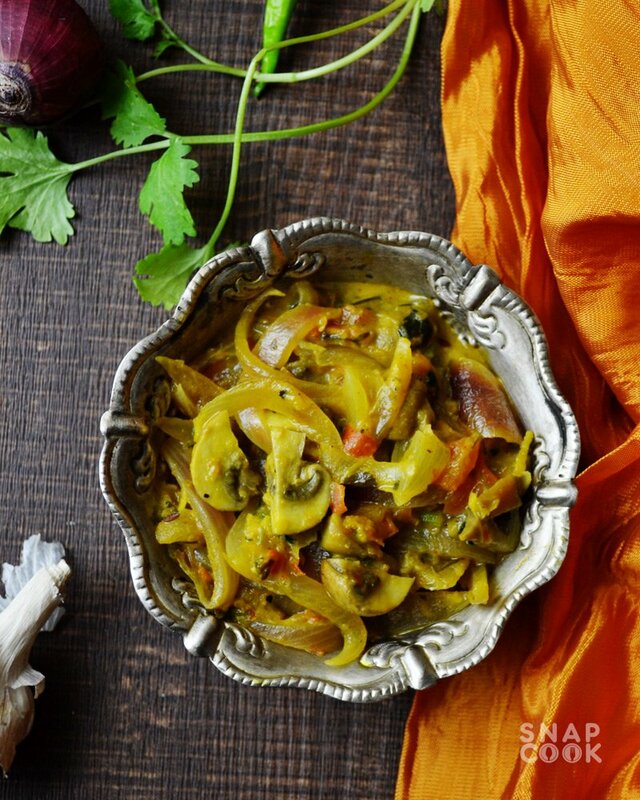 Green chilli (chopped) – 2. Red Chilli Powder – To Taste. 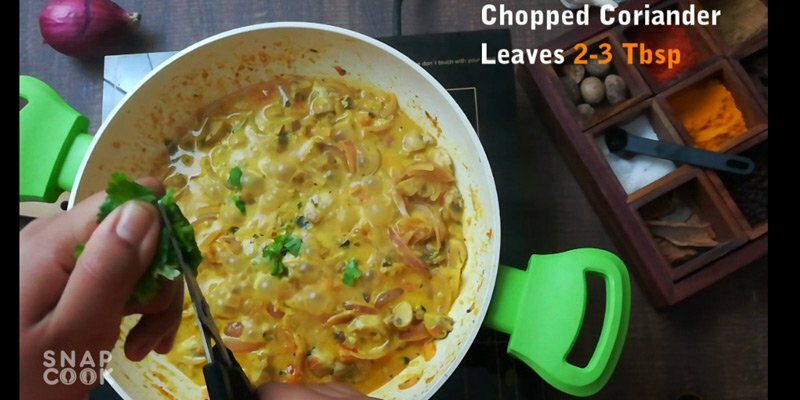 Fresh Coriander Leaves (chopped) – 2-3 Tbsp. Fresh Cream or malai – 1/2 cup. 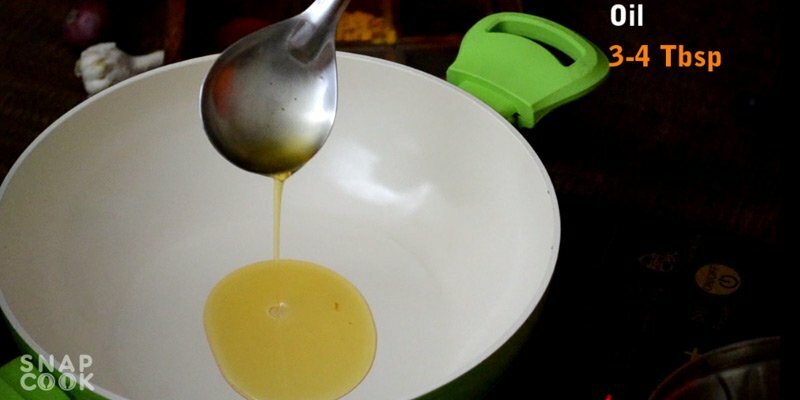 1- take Oil – 2-3 Tbsp in a pan. 2- Add 1 small tick of cinnamon. 3- Add Jeera(Cumin Seeds) 1 Tsp. 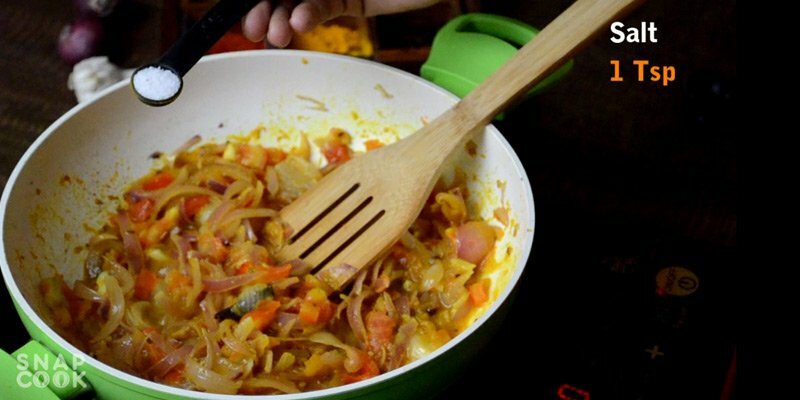 4- Add chopped 2 cups onions and fry it for 3-4 mins. 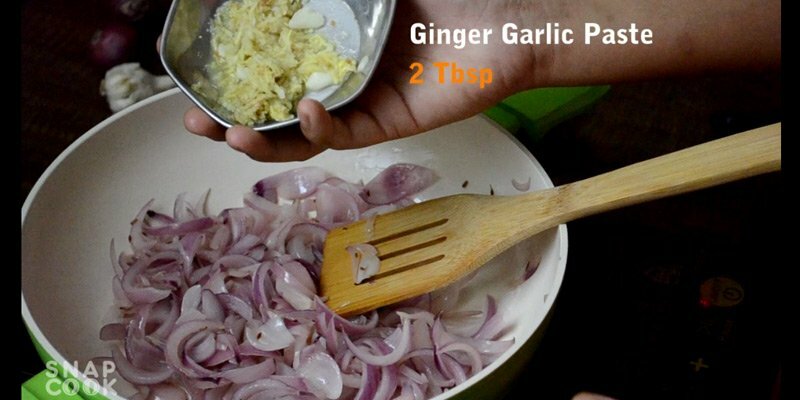 5- Add 2 Tbsp Ginger garlic paste. 6- Add 1/2 cup chopped tomatoes. 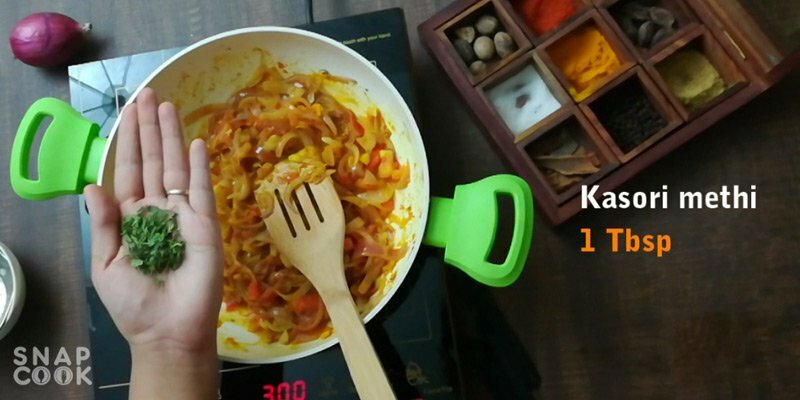 7- Add 1/3 cup tomato puree. 8- Add 1 Tsp Hali. 9- Add 1Tbsp Dhaniya powder. 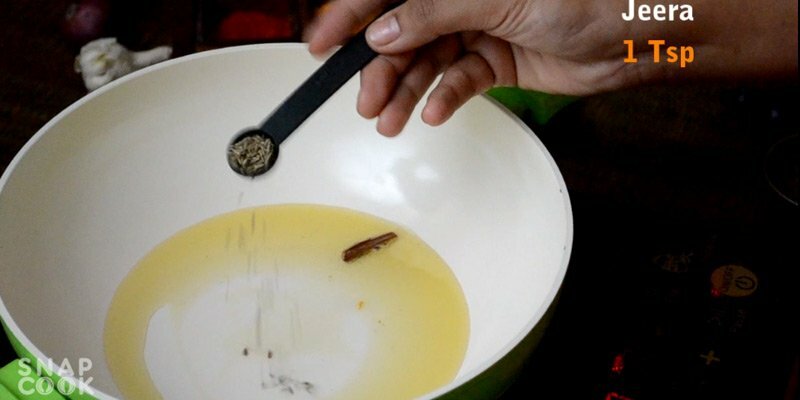 10- Add 1 Tsp Garam masala. 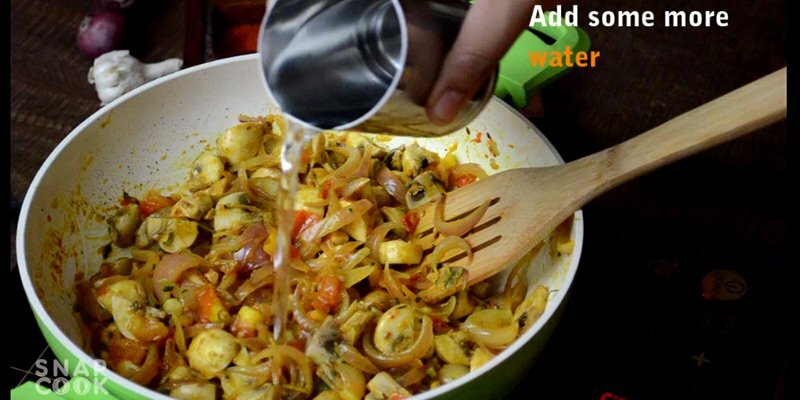 11- Add 1 Tsp Salt or to taste and mix all ingredients well and cook it for 2-3 mins. 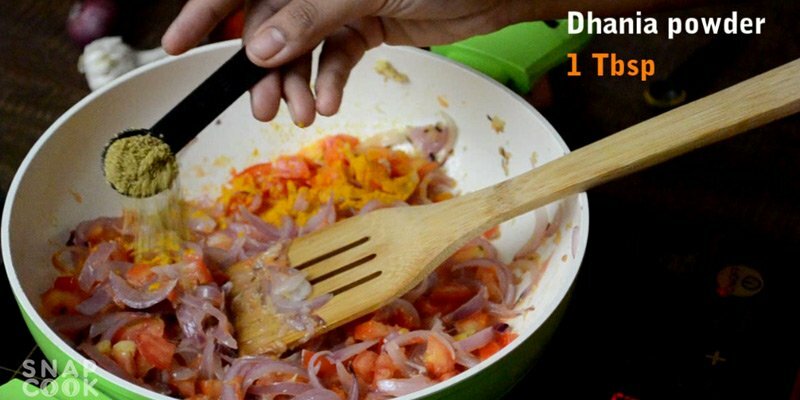 12- Add 1 Tbsp Kasori methi. 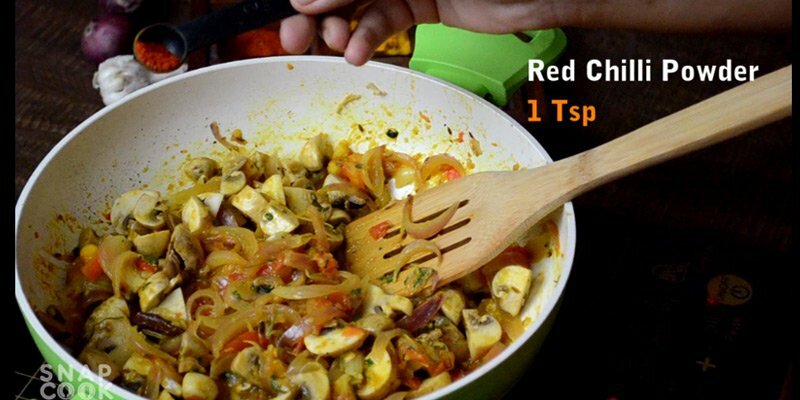 13- Add 1 Cup chopped mushroom and mix all ingredients. 14- Add 1 Tsp red chilli powder and cook it for 5-6 mins. 15- Add some water depending on how thick you wish to make the gravy. 16- Add 1/2 cup malai or milk cream. 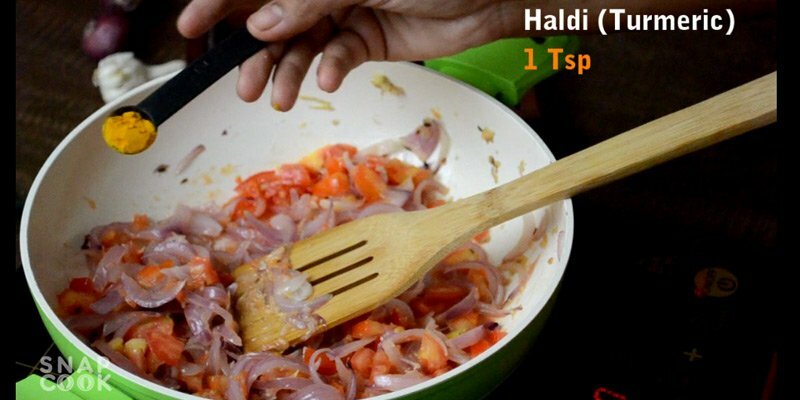 17- Add 2-3 Tbsp chopped coriander leaves and mix all ingredients well and cook it for another 5-6 mins. If you want to keep mushrooms fresh, store mushrooms in paper bags instead of plastic bags or trays, for their prolong life. Instead of cream, you can also add milk or malai. Your Mushroom do Pyaza is now ready to serve. 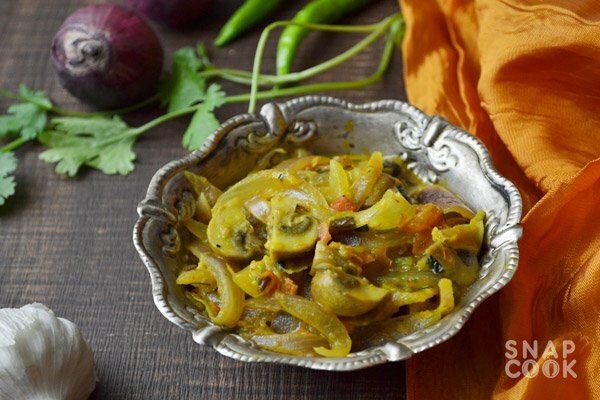 Mushroom do Pyaza recipe – restaurant style. 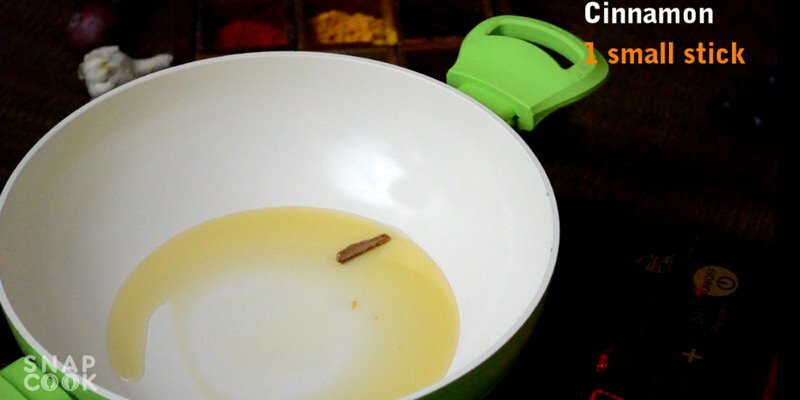 Take Oil – 2-3 Tbsp in a pan. Add 1 small tick of cinnamon. Add Jeera(Cumin Seeds) 1 Tsp. 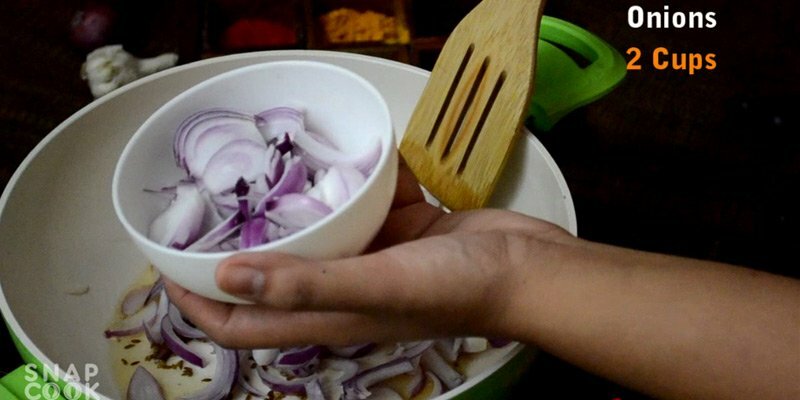 Add chopped 2 cups onions and fry it for 3-4 mins. Add 2 Tbsp Ginger garlic paste. Add 1/3 cup tomato puree. Add 1 Tsp Salt or to taste and mix all ingredients well. Add 1 Tbsp Kasori methi. 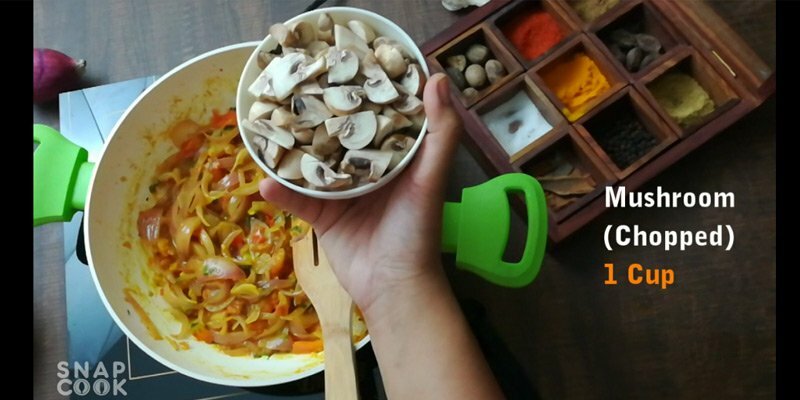 Add 1 Cup chopped mushroom and mix all ingredients. Add 1 Tsp red chilli powder and cook it for 5-6 mins. Add some water depending on how thick you wish to make the gravy. Add 1/2 cup malaior milk cream. Add 2-3 Tbsp chopped coriander leaves and mix all ingredients well and cook it for another 5-6 mins.